Of all the restrictions drivers will face after a DUI conviction, an ignition interlock device (IID) is one of the most inconvenient. An IID works by requiring drivers to breathe into a mouthpiece, which then registers the driver’s blood alcohol level (BAL). If the driver’s BAL is too high, then the ignition will not turn over. Any attempt to start the vehicle with a high BAL will also register and be reported to the authorities. Below, we share some of the details about when a motorist will need to install an IID. If you have questions, please contact a criminal defense attorney for answers. Florida statute § 316.193 requires an IID whenever the motorist has their license reinstated. This requirement applies to the reinstatement of either a restricted or permanent license. Florida statute § 322.271 also requires an IID installation whenever a driver applies for a restricted license for business or work reasons. As you can see, the length of time often depends on prior convictions. 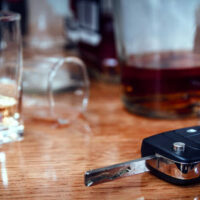 For this reason, fighting any DUI charge can pay dividends in the future, should you be pulled over for DUI again. Unfortunately, IIDs are also not free. Instead, the motorist will need to pay a monthly lease cost for the device, which can cost around $100 a month. If you need the device for one year, then you will need to pay over a thousand dollars. You will also need to pay an installation fee, though some providers will install the device for free. The state provides a list of approved providers, so you should shop around to find the cheapest price. If you are indigent, you can ask the court to use a portion of the fine that you pay and apply it to the cost of installing an IID. This can reduce the cost somewhat, though the overall expenses are usually still high. Many people contact us after being arrested for DUI, scared about the future. Remember that an arrest is not yet a conviction, and you do have options for fighting the charge. In some situations, a lawyer can get the charges dismissed or reduced. For more information, please contact us at Bundza & Rodriguez, P.A. today. We offer a free initial consultation, which you can schedule by calling 386-252-5170.